My previous post took pot shots at another round of failed climate change negotiations, this time in Doha, Qatar against the backdrop of bombarding information on ever increasing effects of climate change augmented by human induced global warming. If the status quo is maintained, there’s no doubt that almost one fifth of the planet’s population would face horrors akin to a war time scenario in the second half of this century mostly in underdeveloped and developing countries. But, while just as science and technology was behind plaguing the planet, so it can purge it. As I mentioned in my last post, solutions are already there. In labs, in patents, and in thousands of research papers and reports. But rarely did policymakers and corporations bothered to even remember that forget using them. But, being the perennial optimist, I believe change may just be round the corner. While there is no doubt that in the long term, a shift to cleaner energy resources is the only answer. But, while the political will and corporate incentives are still luke warm for clean and green energy, there is a fuel which is in our hands and if used immediately, can give us enough time to set the stage for a large scale global renewable energy invasion to occur. This fuel is energy efficiency. Energy efficiency, sounding like a ubiquitous term in high school and freshman basic science text books, is one of the two or three killer apps when it comes to permanently mitigating climate change. A recent report titled World Energy Outlook 2012 by International Energy Agency (IEA) stated that if economically viable energy efficient technologies are applied across the globe from now on (beginning 2013), it will reduce the global primary energy requirement by half by 2035 as compared to a scenario if they are not applied. Oil demand will peak by 2020 and by 2035, it’ll be 13 million barrels per day (mb/d) lower, a reduction equal to total current oil production of Russia and Norway. And how will it affect global warming and carbon emissions? As I mentioned in my previous post, we can’t afford beyond a 2°C rise in global average temperature for the planet by 2100 in order to avoid disastrous effects of climate change. This report says that existing power plants, factories and buildings etc. will already emit almost 4/5th of the emissions by 2035 required to raise earth’s average temperature by 2°C. If we continue ‘business as usual’, by 2017, the total number of power plants, factories, buildings etc. would be enough to emit all the carbon based gases which will raise Earth’s temperature by 2°C by 2100. However, if we immediately start applying currently available energy efficiency technologies across the globe, we will push the lock in period to 2022. It simply means that instead of 2017, we will have another 5 years by which time the earth will have enough plants, factories, buildings etc. to raise earth’s temperature by 2°C by 2100. Thus, instead of following ‘business as usual’ path of development (simply meaning the way we are going), if we start applying energy efficiency solutions that are realistically possible according to IEA, we have another 9 years by which time we must get a climate change treaty which curbs carbon emissions and massively increase contribution of renewables and other future clean energy resources in our daily lives. How Efficient can we be? Energy Efficiency’s report card till date sports an F grade all the way. From 1974-2008, $38 billion was spent on end use energy and efficiency innovation globally. Against this, $41billion was spent during the same time on nuclear fusion, supposedly the holy grail of infinite clean energy. Against this, just a ‘paltry’ $530 billion were spent on fossil fuel subsidies (now you know why you get diesel at less than Rs. 50/litre even today when the global market prices should make it Rs. 65/litre in India) and $88 billion on renewable energy subsidies in 2011 alone. Regrettably, more than 80% of the energy efficiency potential in buildings and more than 50% in industry remains untapped across the globe. One of the biggest potentials and markets for future growth lie in energy efficiency improvements in supply chain infrastructure. If the supply chain infrastructure can be improved on three fronts – improving the fuel efficiency of all 3 forms of freight transport, achieving more efficient use of transportation by increasing load factors and reducing average shipping speeds and by using smart traffic management systems, substantial reductions in projected energy demand can be made. A study showed that for a scenario of $100/barrel of oil and for $250/barrel of oil (the second scenario being the most plausible in the decade beginning 2020), for $100/barrel, the above 3 improvements in supply chain infrastructure can result in a 38% reduction in energy in a 10 year time horizon while for $250/barrel, the same 3 can cause a 51% reduction over the same period. A study by Mckinsey 2 years back stated that across the developing world, if energy efficiency solutions are implemented across all major industries beginning 2011, then by 2020, 25% less energy will be required as compared to the business as usual scenario. This means a total energy savings greater than the total energy consumption in China in 2009. In the 2 biggest carbon emitters on Earth, China and India (1st and 3rd ranked in global carbon emissions), application of energy efficiency to its full potential from 2011 onwards could have yielded energy savings of nearly 24% and 33% respectively by 2020 against a business as usual scenario (2 years have already passed and nothing much was done in India). For example, for the Indian state of Maharashtra, it has been proven through a study that as compared to the costs incurred on electricity loses due to in efficient water pumps to the states’ farmers providing free electricity (electricity for farming is free in India), the capital cost of installing more efficient pumps would be lower than the cost of generating that extra electricity which got wasted in the inefficient pumps. For a fact, Maharashtra loses sales tax worth Rs. 9 per kWh ($0.20/kWh) for each kWh of electricity not supplied to businesses which gets wasted in the inefficient pumps. Similarly, electricity loses due to technical inefficiency of the electricity grid can be reduced from 27% to 17% andwould result in savings of 69 TWh/yr and CO2 reduction of 55 Mt/yr. · Using Light Emitting Diode (LED) lighting for our homes and trashing all CFLs, tubes and incandescent bulbs. 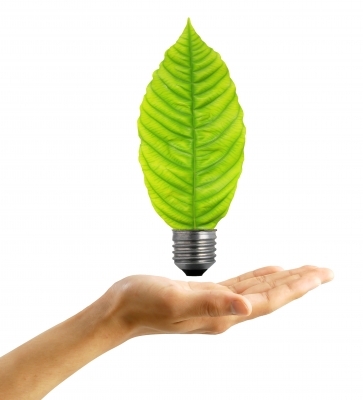 While many may feel CFLs is the answer, you must remember CFLs contain mercury which is an extremely toxic substance. And, LEDs cost less than 50% of CFLs and barely 15% of conventional lighting over an entire year. Also, LEDs life span is over 5 times that of CFLs and nearly 35 times that of our regular tubes and bulbs. Reduction in carbon emissions if using LEDs – just 10% of tubes and bulbs and just 45% of CFLs. · Use only BEE (Bureau of Energy Efficiency) STAR 5 rated ACs and refrigerators. Although they cost higher than 2 or 3 star rated appliances, over a 5 year period, the net savings due to lower electricity bills can be in excess of 30% as compared to overall costs of 2 star rated appliances. · As much as possible, use public transport and use bicycles or walk for travelling distances less than a kilometre. For prospective car buyers, an easy internet search can reveal the best reviewed and rated cars by users and experts for highest fuel efficiency. Since cars across the globe are a status symbol, even for those going for higher end cars, there are C & D segment cars available which have higher fuel efficiencies than their counterparts which can easily be found on the net. The most preferable should be LPG (known as CNG in India) based engines especially in Indian metros as their overall costs over a 4 year period is 20-25% less as compared to a diesel car considering an average distance of 12,000 km travelled for a small to mid-sized car. · Above all, the CO2 emissions are negligible as compared to diesel or petrol. The 2nd preference must be a diesel based car if and only if you are willing to drive it atleast 55,000 km considering a 10-12,000 km per year travel. But if you planning to sell your car for anything less than 45,000 km, and mostly travel in cities, petrol will be overall cheaper considering whole life cycle costs since diesel cars, on an average, are Rs.100,000 costlier than petrol ones. And of course, for the same distance travelled, a same sized diesel car emits lesser CO2 emissions than a petrol one. In essence, energy efficiency might just be the steroids needed for combating global warming and climate change by the time renewable and clean energy coupled with technologies like carbon capture and sequestration (CCS) take over as the lead protagonists. The problem is that even after knowing that these small steps will go a long way in saving the planet we never care to put them in practice.You have captured the economic benefits of using these measures but I think we need help from media to show these benefits. More ads should be shown on TV. I do not see many ads coming in on 100 of channels that are present. We live in a society where only a lot of media hue and cry awakens us to the real issue.